Buying a home can feel overwhelming at times. Over the long haul, it remains an excellent investment. It's understandable that you're excited about the prospect of owning a Lake Havasu home. But, sometimes, Buyers do things that may shoot themselves in the foot without even knowing it. So, I've put together this list of "Do's" and "Don'ts" of Lake Havasu Home Buying to help you muster through. Even when buying a newly constructed home, you need someone to represent your best interest. Do you know how the local Lake Havasu real estate market works? 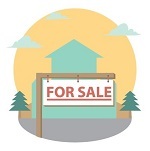 How much time do you have to devote to searching homes for sale? Can you coordinate inspections, paperwork and deadlines by yourself? That's where a Lake Havasu real estate agent comes in handy. Ask friends, family and co-workers who they worked with on their home purchase. Interview several agents. Always check references before deciding on which one to hire. One of the most important factors in Lake Havasu home buying is knowing what you can afford. You don't want to find the perfect home just to discover you don't qualify for the mortgage on it. Also, it would be heartbreaking to get into a home that is way over your budget just to lose it in a couple years because you couldn't afford to keep up the payments. Talk to a lender right away. Secure your financing before you start your home search. Focus on homes in a price range that comfortably fits within your budget. Your offer will be taken much more seriously if you have a pre-approval letter in hand. Buyers and Sellers seldom talk to each other in person. Instead, their representatives (i.e., agents) do all the negotiating. This is one of the reasons you hired your Lake Havasu real estate agent in the first place. When you bypass your own agent and contact the listing agent directly, this seemingly innocent move can hurt you in two ways. First, it implies that you don't trust your own agent, which can hurt your relationship with them. Second, it allows the seller's agent to run the negotiations which may hurt your bottom line down the road. Let your agent do their job. You wouldn't have hired them in the first place if you didn't trust them, would you? Why does this matter? The listing agent and/or Seller may be within earshot of whatever you say. Talking about your budget, how many homes you've seen or even whether or not you like the property may hurt you when it comes to negotiating a price. Save your comments for after you leave. Yes, you're excited. Yes, you want to find "the one". That doesn't necessarily mean you have to look at every single property on the market first. Discuss your wants and needs with your agent. In turn, they will whittle down the hundreds of properties available into a much more manageable list. 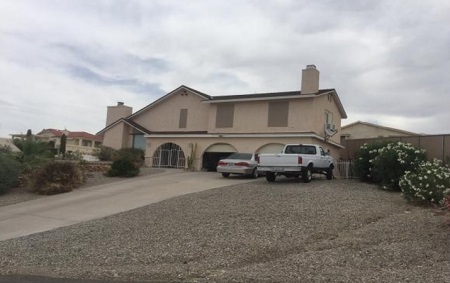 You found just the right Lake Havasu home at a price you're happy with. But you're afraid to pull the trigger on putting in an offer. What if you lose your job? What if you or your significant other gets seriously ill? What if another, nicer, MORE perfect home comes on the market the day after you sign? Sure. These things could happen. However, it's a very small percentage of a possibility. When you find a Havasu home you're happy with, be ready to complete the home buying process. Embrace this positive change in your life.